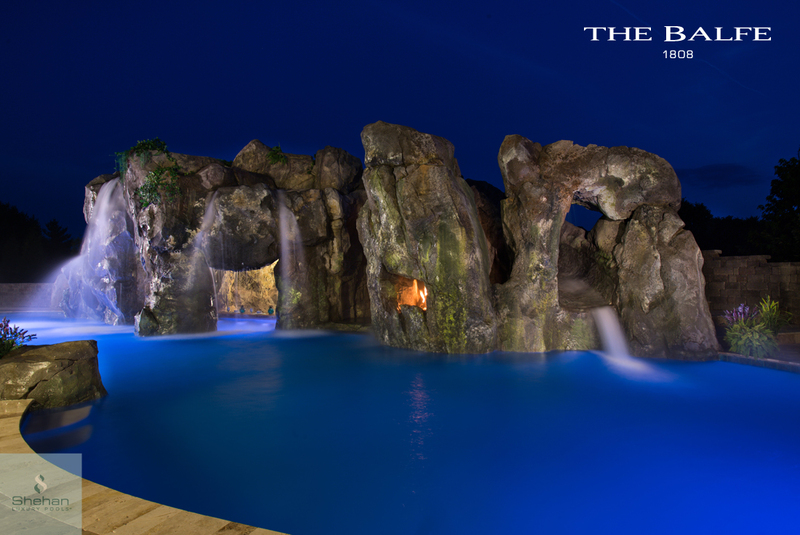 For most homeowners having a bespoke aquatic environment built, especially one that includes luxurious extras in the form of a spacious beach entry, swim-up bar and waterfall complete with slide and secret grotto, is usually one of those once-in-a-lifetime experiences. Our most recent addition to the Symphony Collection is just such a dream come true. 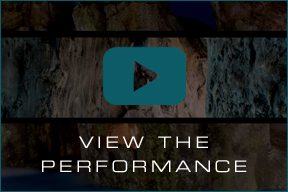 Inspired by the exuberance and untamed passion of the Irish composer, M. W. Balfe, the finished piece may resemble a wet and wild wonderland of rocky nature at first, but glance behind the perfect balance of technology and ecology and over a century of ingenuity and unmatched artistry quickly comes into view. 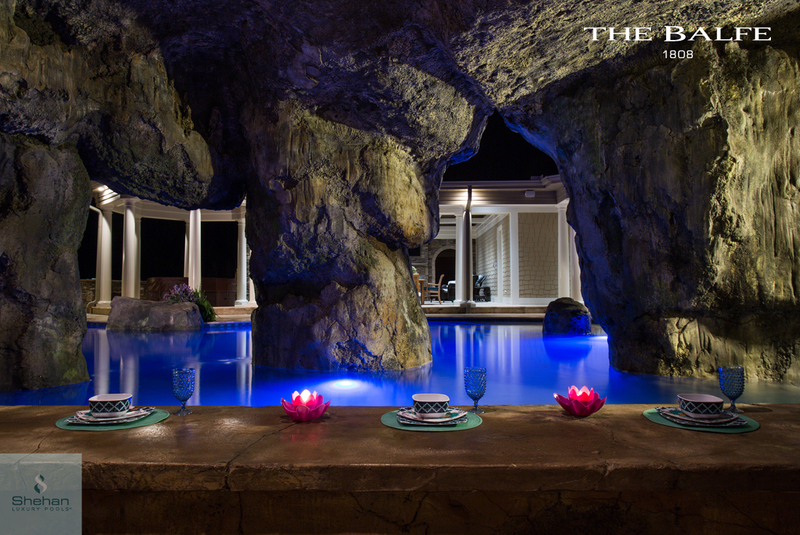 Hiding beneath over 6,500 square feet of simulated granite slabs, spires and cliff-face rock, a sculpted limestone cavern snakes around a swim-up bar and leads to the world’s first fire Majilis; aka a cozy spot around a blazing bonfire reserved for VIP BFF’s only. 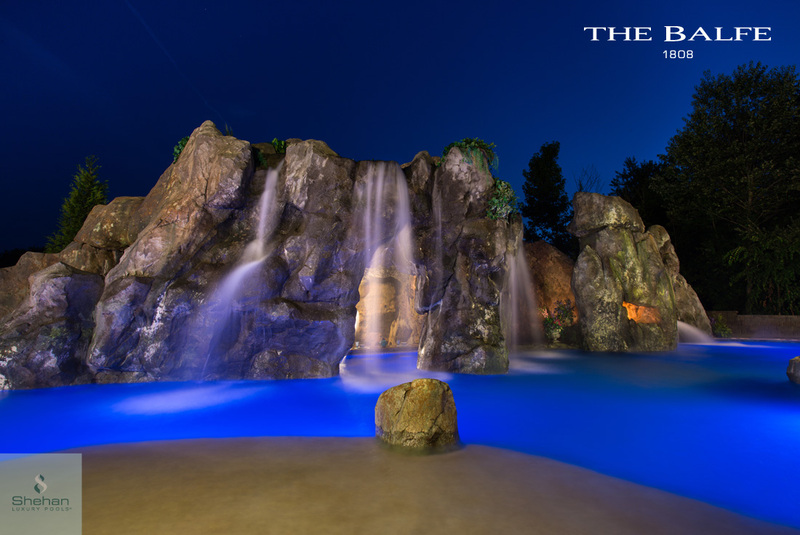 A full service outdoor kitchen, personalized travertine decking, and hand-sculpted limestone stalactites complete this fairy tale landscape. 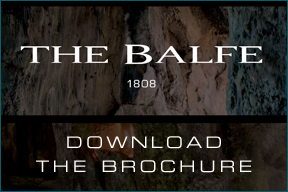 As far as opulent designer swimming pools and exotic outdoor spaces go, The Balfe has set a new standard in engineering, construction, and craftsmanship (not to mention extravagance).